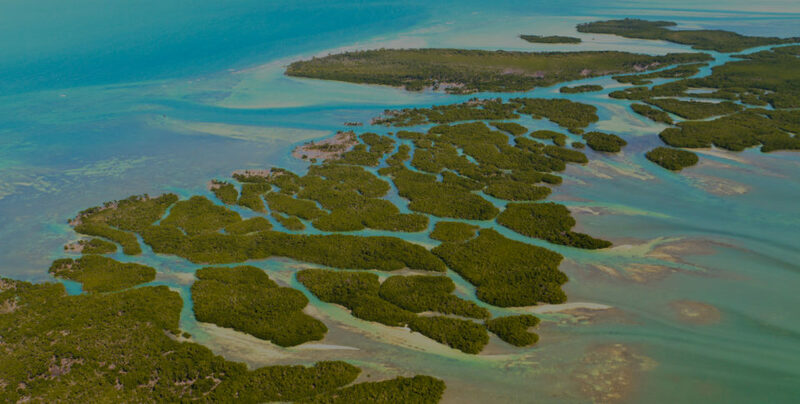 Activities abound in the Florida Keys. From sightseeing to watersports, there are countless sources of entertainment along this vibrant archipelago. However, if you are seeking the ultimate in island relaxation during your stay at Tranquility Bay, few things can surpass an afternoon at the beach – aside from our in-room spa services, of course. 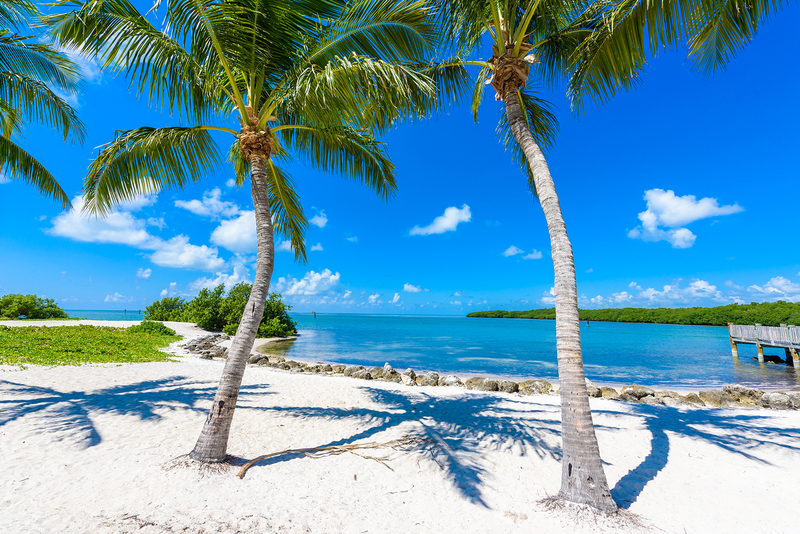 Whether you’d prefer a popular local beach or a remote oasis at the western edge of the Keys, these are the top destinations for throwing down a towel, grabbing a paperback, and digging your toes into the sand. Located in Marathon, FL, this sandy beach and park is located just off US 1 and offers picnic areas and volleyball courts, as well as access to restrooms and showers. Take a walk along the pier at the western edge of the beach and enjoy scenic views of the surrounding shoreline. As a turtle nesting beach, this local favorite restricts access to certain areas in an attempt to preserve the cherished wildlife population. This peaceful beach can be found a short drive northeast of Tranquility Bay. Like Sombrero Beach, it features turtle nesting areas that prohibit human activity in an effort to protect the local wildlife. Known for being especially quiet, this small beach is perfect for a Zen afternoon of surf, sand, sun, and a late afternoon snooze, of course. Head east to discover the famous beaches of Bahia Honda State Park, including Calusa Beach and Sandspur Beach. The more popular Calusa offers great swimming, a nature center, picnic areas, and even a souvenir shop. Meanwhile, Sandspur features a full mile of beautiful sand with relatively calm waters, plus a nearby snack bar. Both beaches are great options for families with children. Offering excellent waters for snorkeling, this beach is located on the southern tip of Key West, making it great for a full-day outing. Also known as Fort Taylor, the park features a nature trail, cycling paths, and a historic fort open to visitors. In between building sandcastles, you can pick up snacks, beverages, sundries, and souvenirs from the Cayo Hueso Café. This national park is accessible only by boat or seaplane. In addition to its bird and marine life sanctuary, Dry Tortugas features several of the top beaches in the Florida Keys. Lounge in the sun and dive into the refreshing waters of South Swim Beach, Seaplane Beach, Dinghy Beach, and North Swim Beach. 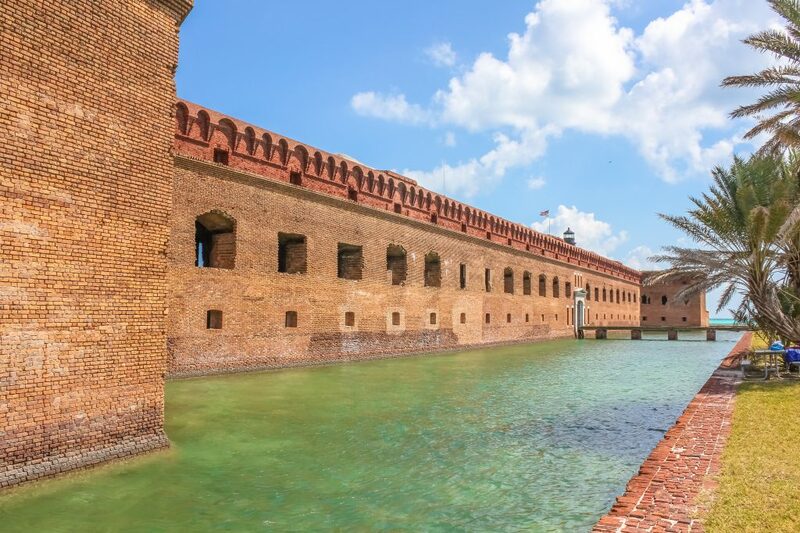 For an unforgettable vacation experience, plan a Dry Tortugas day trip during your stay at Tranquility Bay.